On a cloudy and stormy night (or almost all the time, in this part of Venezuela), dark clouds separate charges and are able to put together the right conditions to send off one of the nature’s most powerful forces from the heavens – lightning. The air break downs and a great amount of static charge gets transferred through the path of least resistance. And a bolt of bright light is seen for a fraction of a second. It lasts for a very little time. As it happens too quickly, the exact shape of a lightning bolt is difficult to see. However, a long time back, a German physicist, Georg Christoph Lichtenberg, figured something that could help make the lightning bolt last longer. 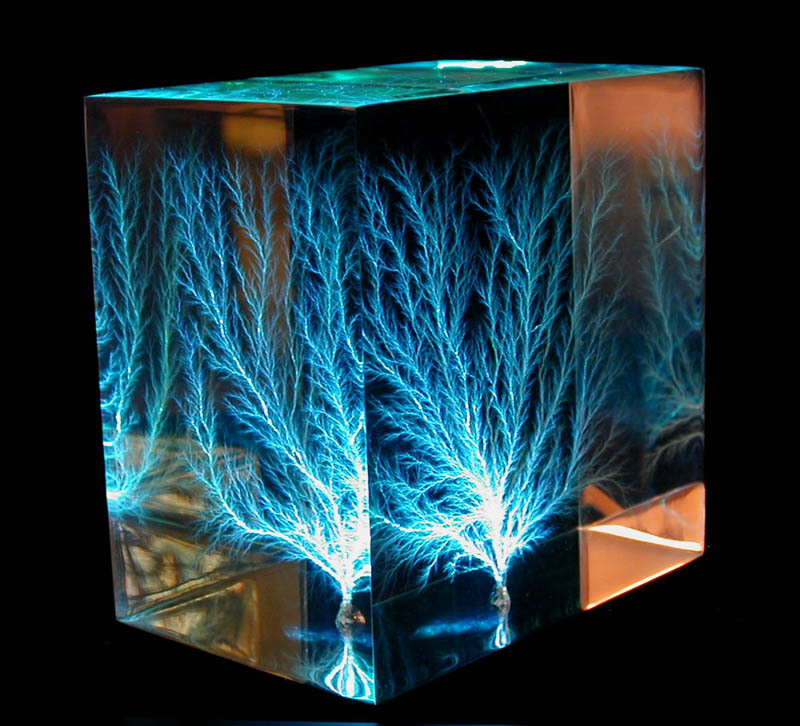 Or in fact, it could trap the lightning tree-pattern forever in an insulator (eg acrylic or wood etc.). The tree-like figure is called the Litchenberg figure after the person’s name (Georg Christoph Lichtenberg) who first noticed this. 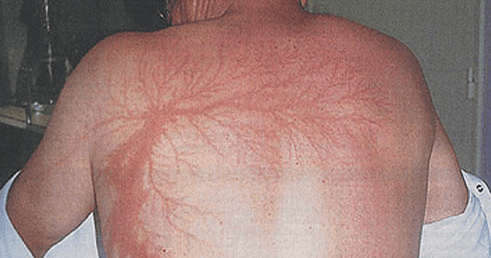 People who unfortunately end up getting hit by lightning, sometimes survive to this permanent tree-shaped scar mark (or tattoo) – A permanent litchenberg figure gets printed on their skin. It looks like this.